He said BJP's Sankalp Patra is a "multi-layer and multi-dimensional" document that addresses the expectations and aspirations of all sections of the society. Asserting that nationalism is his party’s inspiration and inclusion and good governance its mantra, Prime Minister Narendra Modi on Monday said the BJP’s manifesto aims to make India a developed nation by 2047, 100 years after independence. 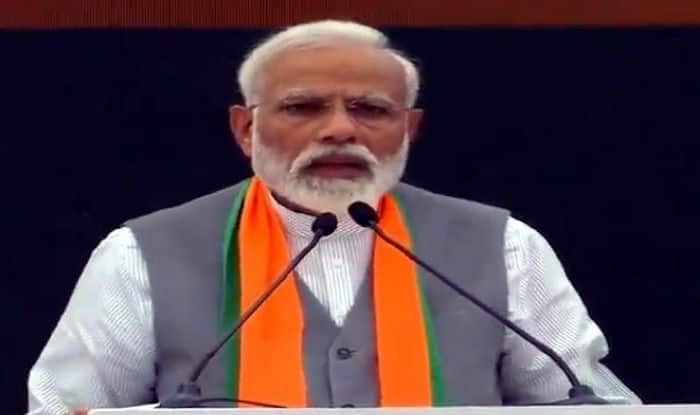 The party’s Sankalp Patra has 75 definitive time-bound targets for the country, Modi said after launching the party’s manifesto three days ahead of the Lok Sabha elections beginning on April 11. “We want people to hold us accountable. Hence, we have set out 75 goals to achieve by 2022,” he said. He said the party’s Sankalp Patra is a “multi-layer and multi-dimensional” document that addresses the expectations and aspirations of all sections of the society. Modi said BJP’s ‘Sankalp Patra’ aims to make India a developed nation by 2047, on completion of 100 years of Independence. “Our aim to change India from a developing country to a developed country. We want to fight poverty rather than sit inside air-conditioned rooms. Nationalism is our inspiration and inclusion and good governance is our mantra,” he said. “We first addressed needs of the people, now we will fulfil their aspirations,” the prime minister said.